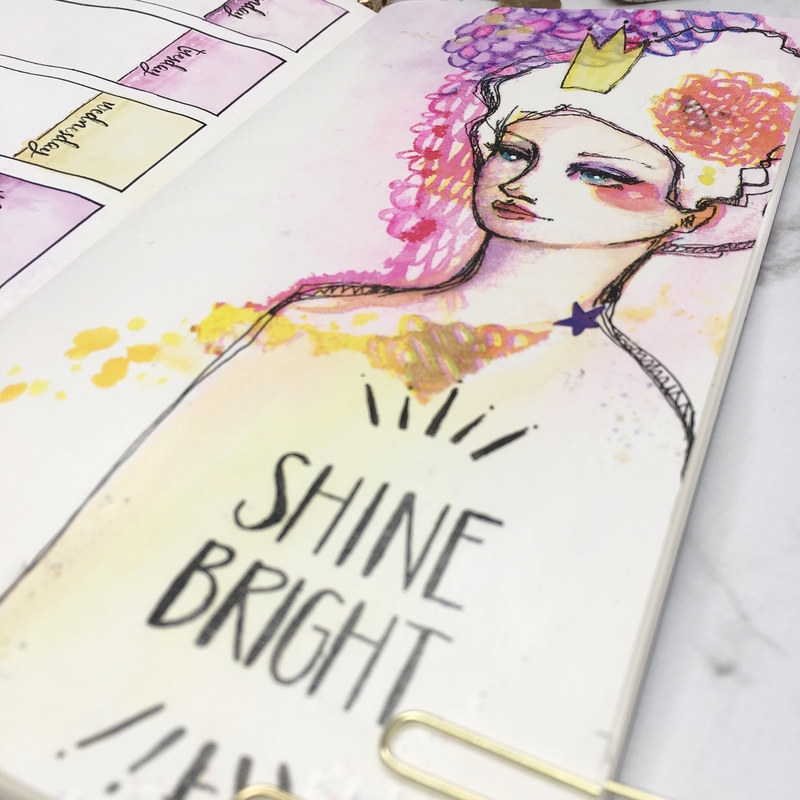 Today I’m going to be Planning with Jane – Jane Davenport that is – though sadly not in person! 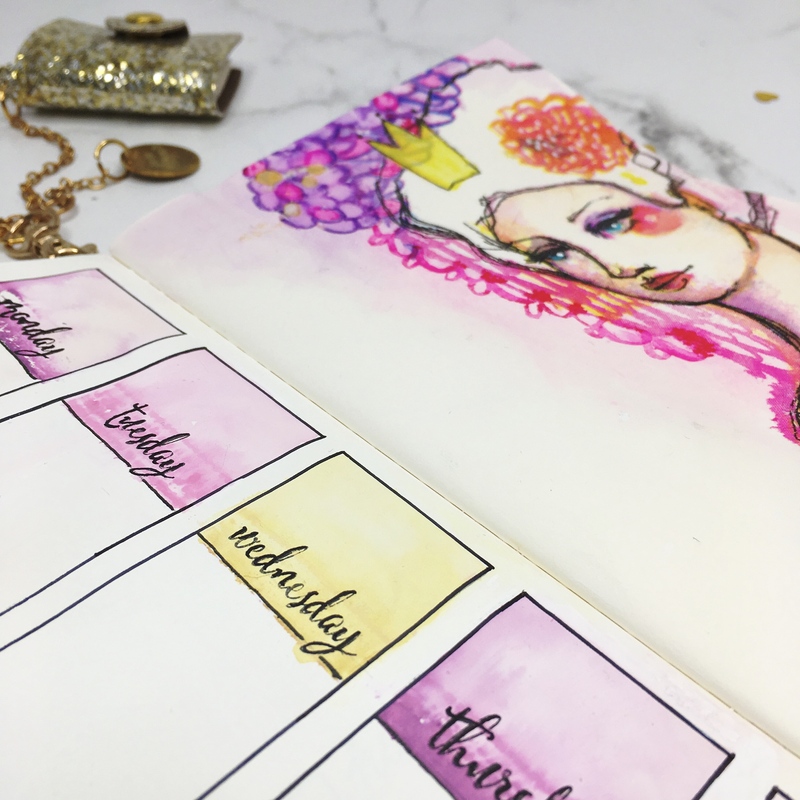 Instead, I’m going to be using up some leftovers from previous projects to create a Jane Davenport inspired horizontal weekly planner layout. I really HATE throwing away perfectly good stuff but I also hate ending up with piles of loose odds and ends – a bit of a pickle! So usually I use loads of leftover bits as collage fodder for my backgrounds in journal pages or to add texture. My problem today is that the stuff left over from some of my previous projects (you can see one here) is too pretty for a background! 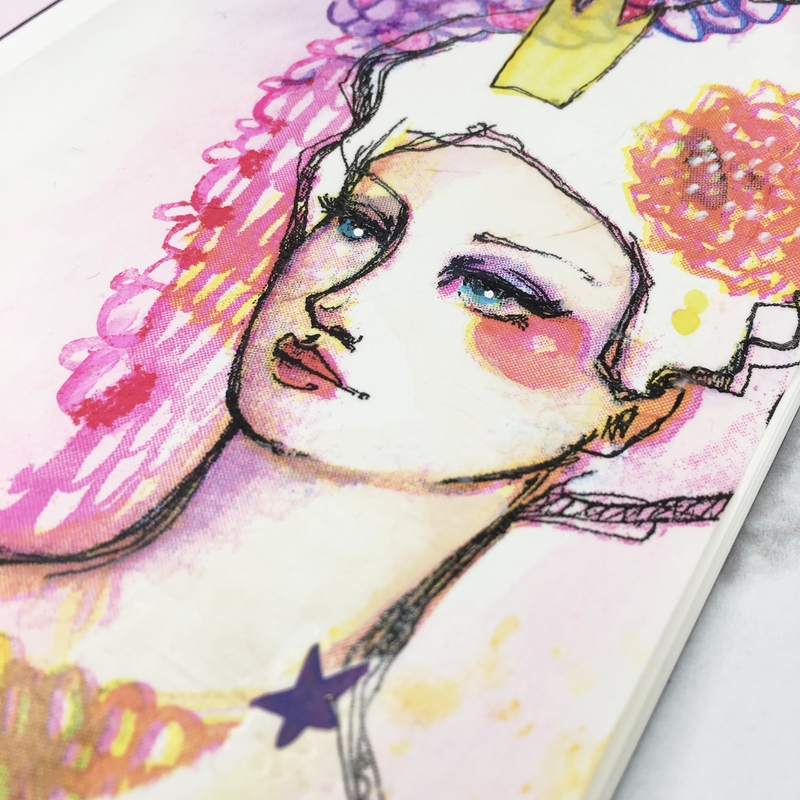 Start your page by adding a pale wash of watercolour to one page, in colours that will match the collage papers you are using – in this case, pink, purple and yellow. Glue on assorted collage papers using matt medium and allow this to dry. 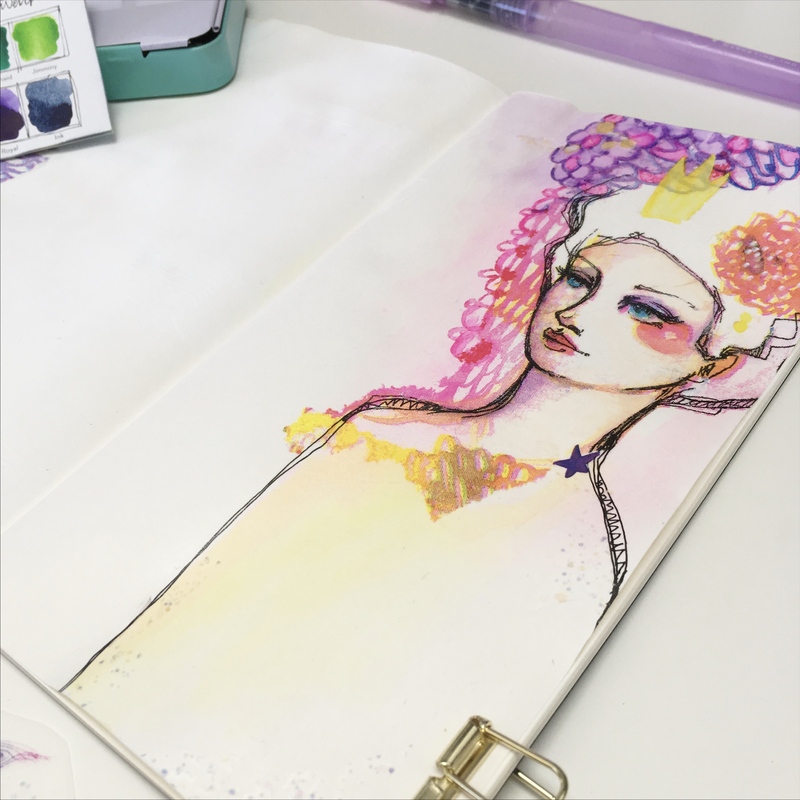 Extend and embellish the image using a waterproof black pen and decorate with watercolors and mermaid markers (I’ll show you a few tips in the video for changing the look of the markers!). 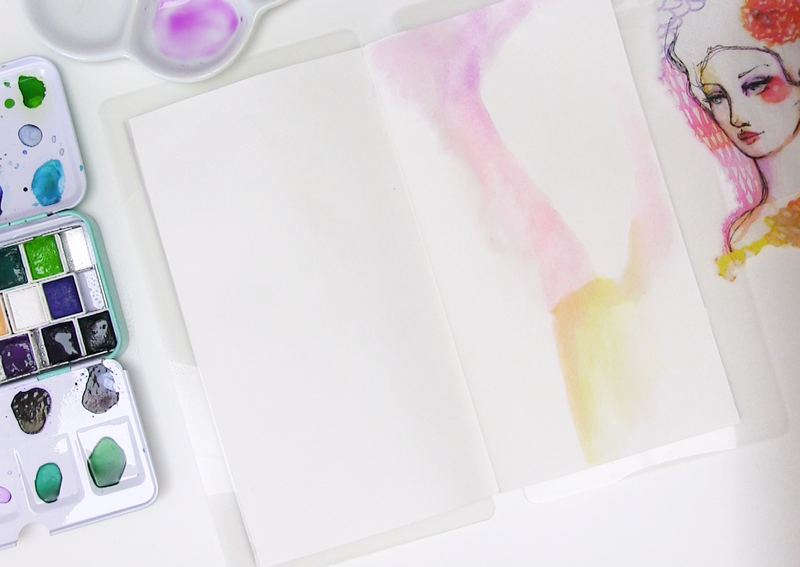 Add some leftover journal tattoos (you might need to cut these into interesting new shapes!) 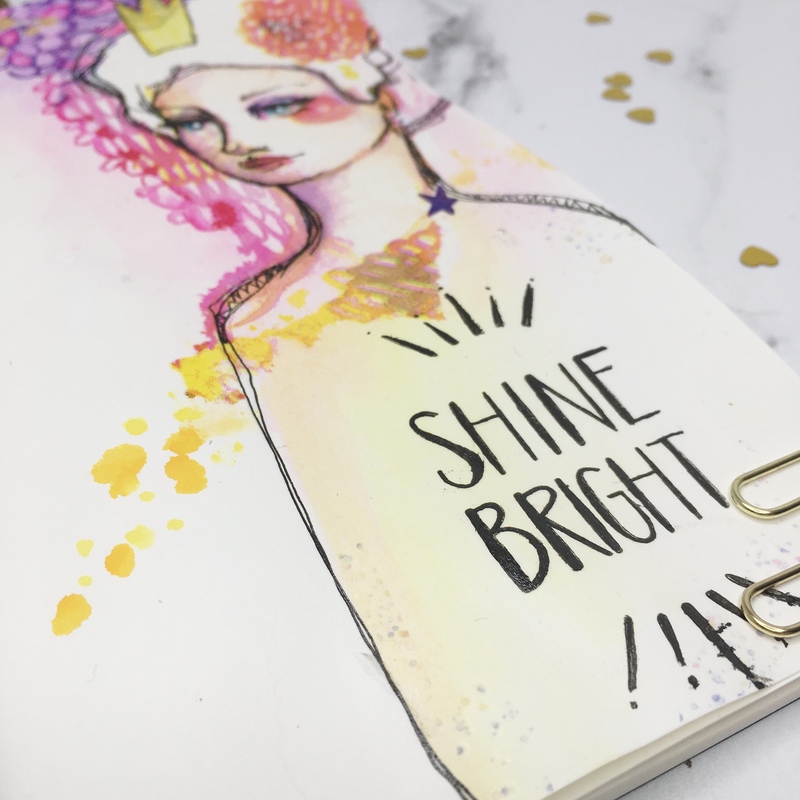 and your page should begin to look pretty amazing. Time to start on the facing page… Now I had a little issue here, so I’ve covered this side of the layout in white gesso. The rest was fairly simple. 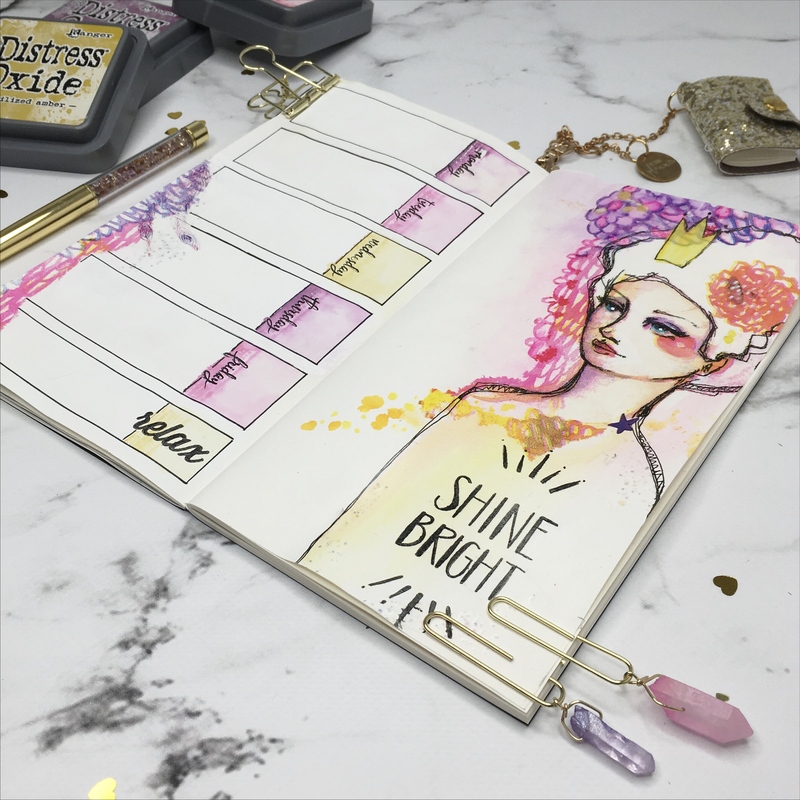 Draw enough boxes for your week using a waterproof black pen and then add some stamped texture to one side of the boxes using Distress Oxides. 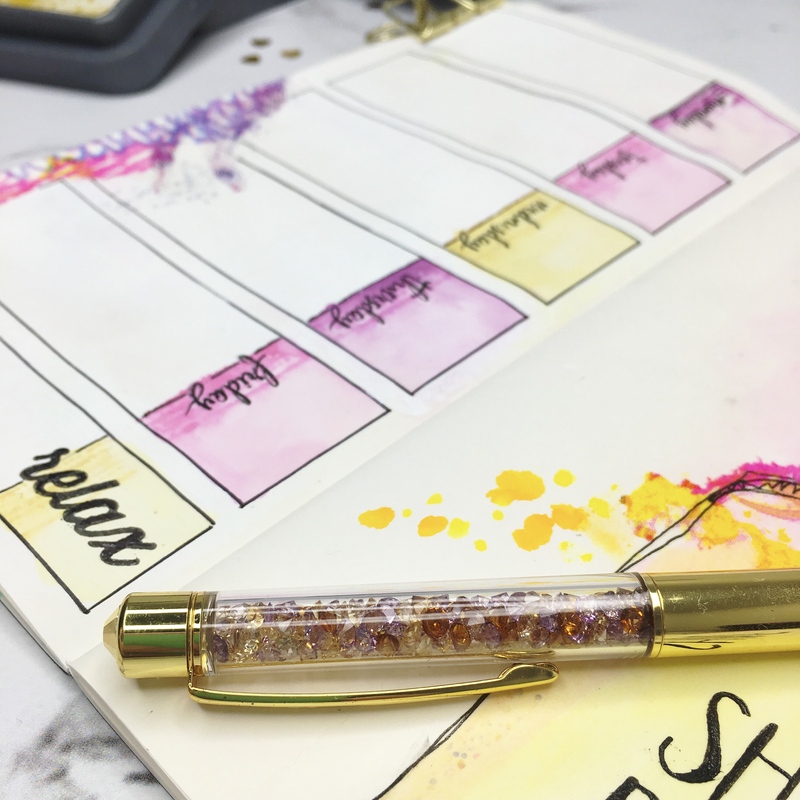 Use a water brush to spread the distress Oxide about and then stamp or write days of the week over the top. 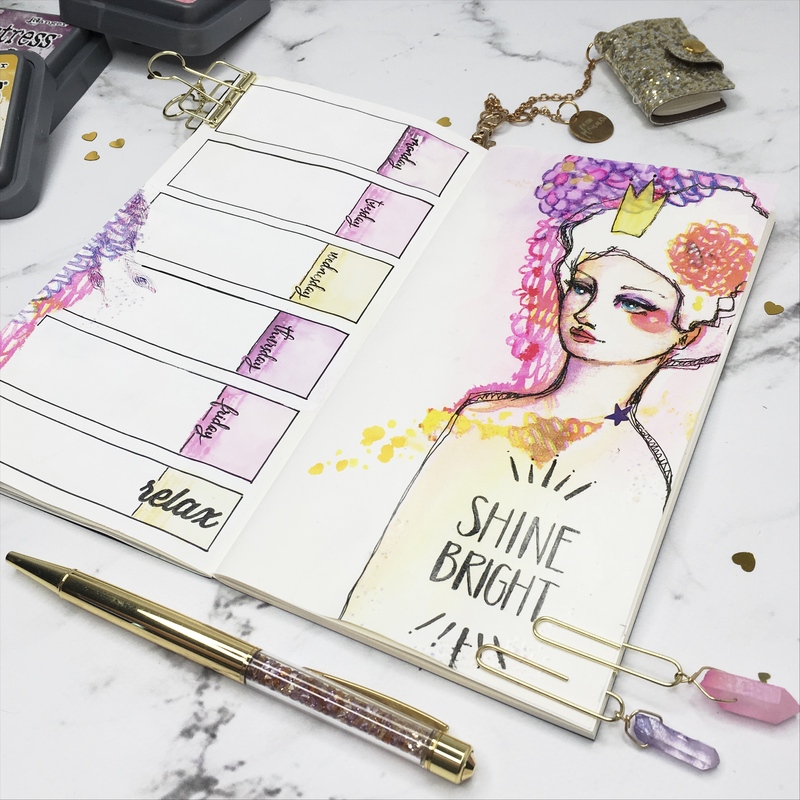 Stamp or write a quote onto the body – though make sure to leave loads of room for your actual planning! And the page is finished! Though because I’ve used gesso I’ll add a spray of workable fixative before I write over this.